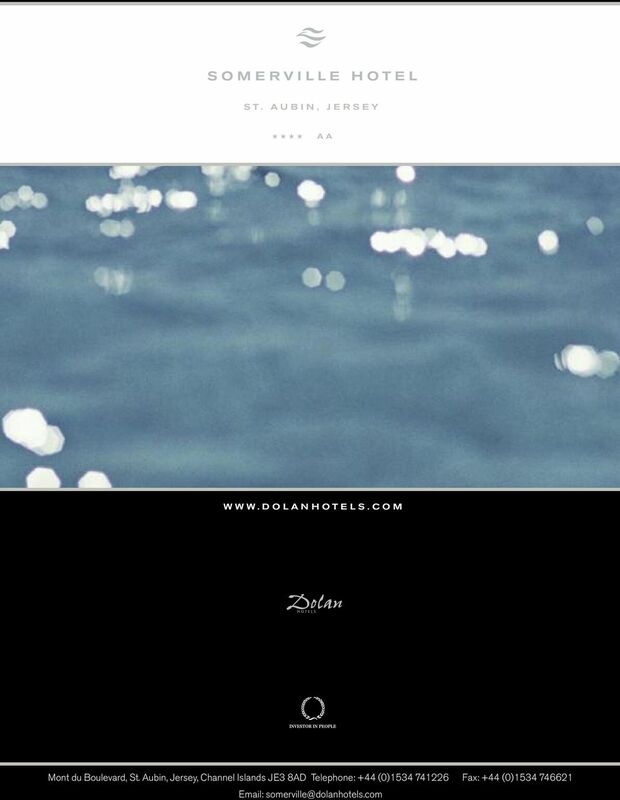 Download "B U S I N E S S A N D C O N F E R E N C I N G"
2 B U S I N E S S A N E N V I A B L E L O C AT I O N The Somerville is one of the finest country house hotels on the Island and has a reputation for excellent accommodation, food and service. Nestling on the hillside, overlooking the yachting harbour and village of St. Aubin and the bay beyond, the views from the Somerville hotel are breathtaking. St Aubin itself is only ten minutes from the airport and a further ten minutes to the centre of St Helier. Its bustling harbour frontage full of restaurants, cafes and bars makes it popular with both visitors and locals alike. 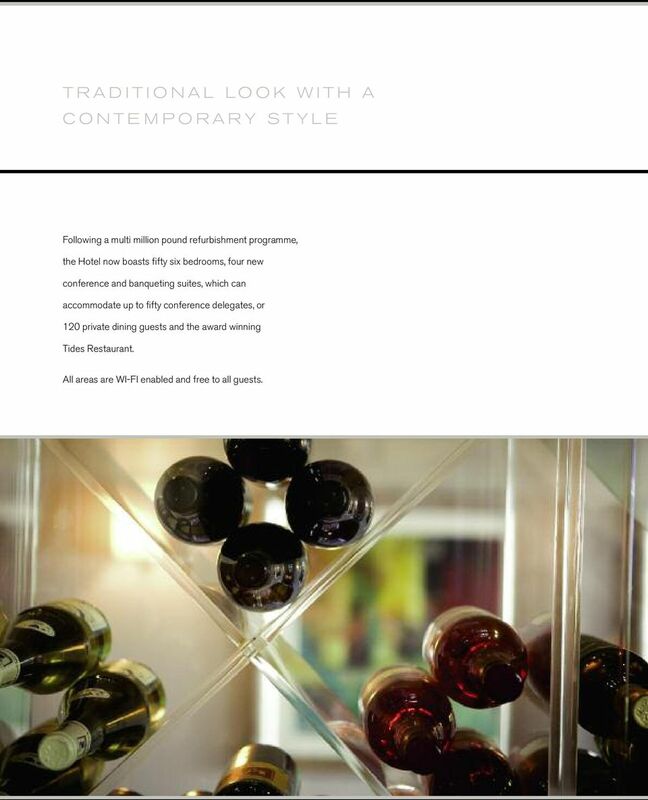 3 T R A D I T I O N A L L O O K W I T H A C O N T E M P O R A R Y S T Y L E Following a multi million pound refurbishment programme, the Hotel now boasts fifty six bedrooms, four new conference and banqueting suites, which can accommodate up to fifty conference delegates, or 120 private dining guests and the award winning Tides Restaurant. 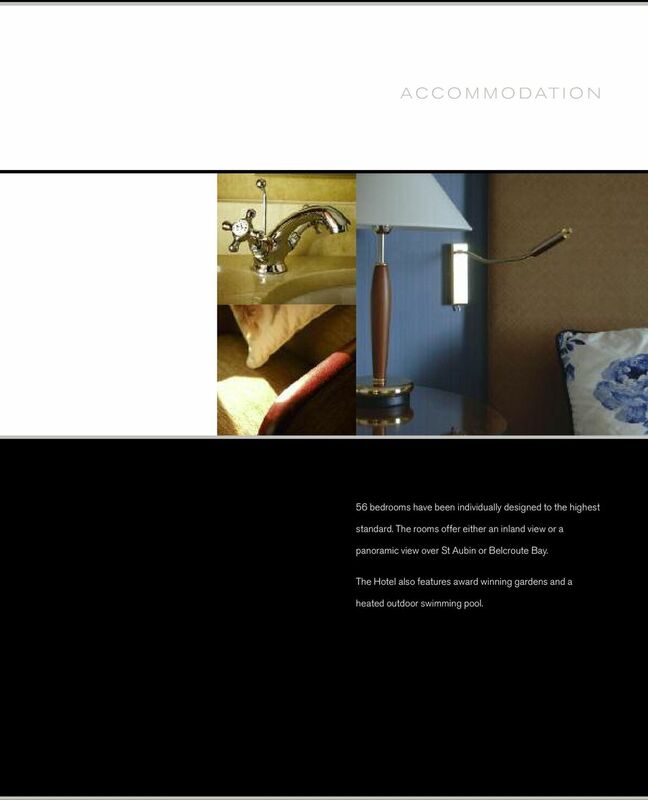 All areas are WI-FI enabled and free to all guests. 4 A C C O M M O D AT I O N 56 bedrooms have been individually designed to the highest standard. 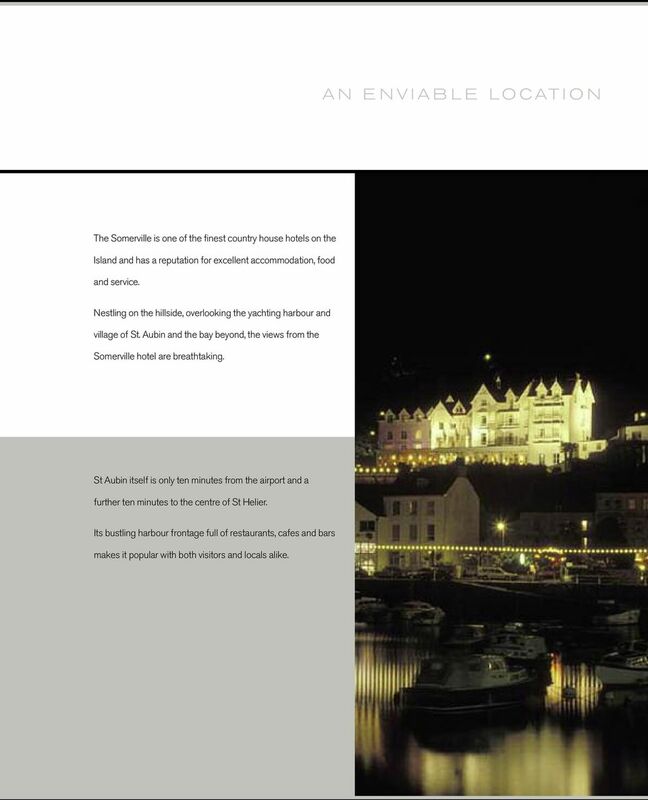 The rooms offer either an inland view or a panoramic view over St Aubin or Belcroute Bay. 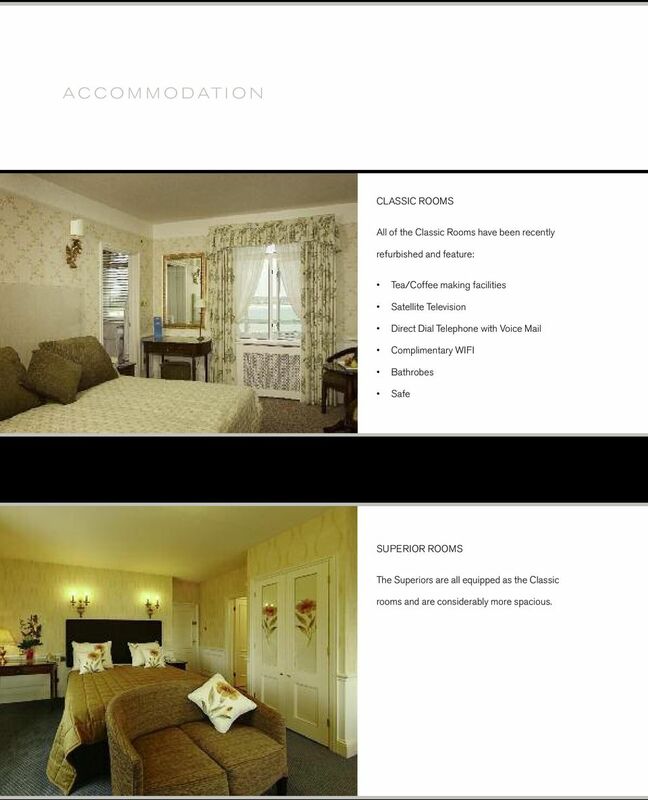 The Hotel also features award winning gardens and a heated outdoor swimming pool. 5 A C C O M M O D AT I O N CLASSIC ROOMS All of the Classic Rooms have been recently refurbished and feature: Tea/Coffee making facilities Satellite Television Direct Dial Telephone with Voice Mail Complimentary WIFI Bathrobes Safe SUPERIOR ROOMS The Superiors are all equipped as the Classic rooms and are considerably more spacious. 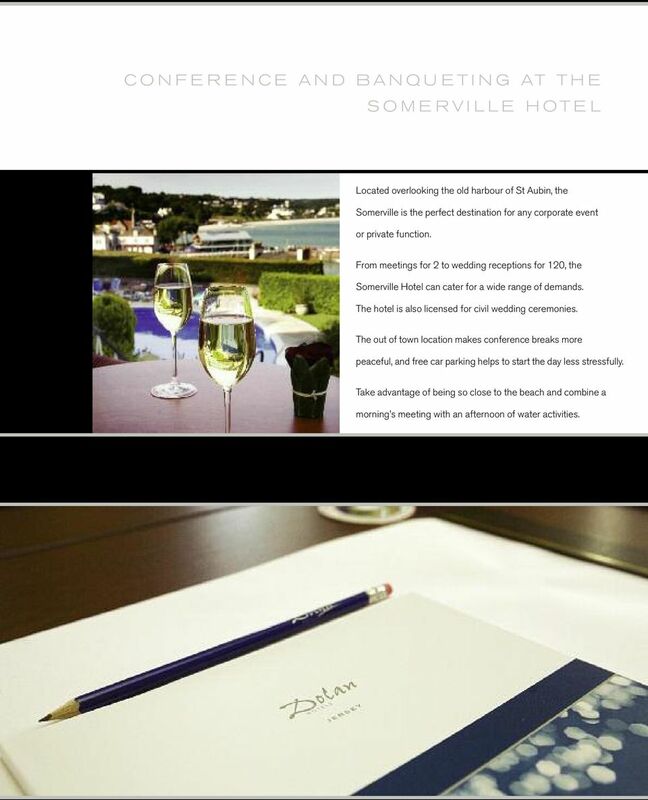 6 C O N F E R E N C E A N D B A N Q U E T I N G AT T H E S O M E R V I L L E H O T E L Located overlooking the old harbour of St Aubin, the Somerville is the perfect destination for any corporate event or private function. 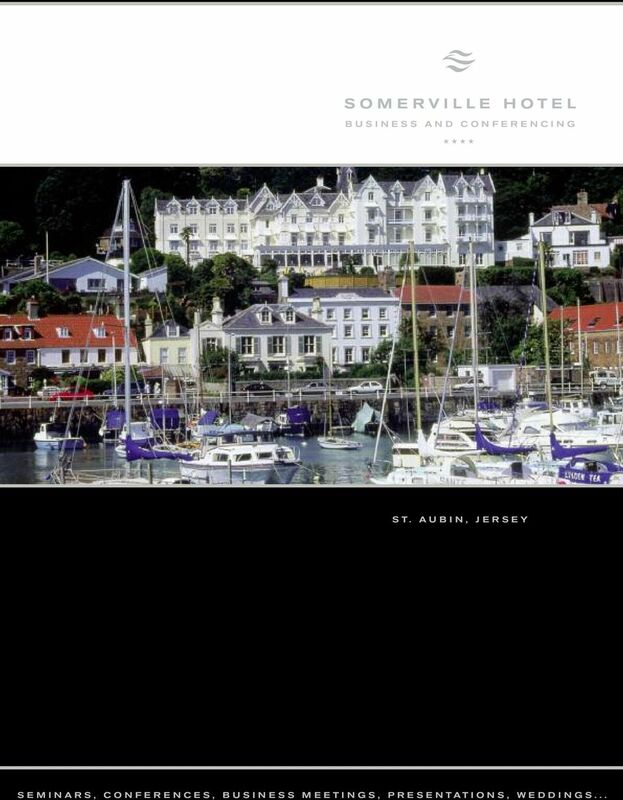 From meetings for 2 to wedding receptions for 120, the Somerville Hotel can cater for a wide range of demands. The hotel is also licensed for civil wedding ceremonies. The out of town location makes conference breaks more peaceful, and free car parking helps to start the day less stressfully. Take advantage of being so close to the beach and combine a morning s meeting with an afternoon of water activities. 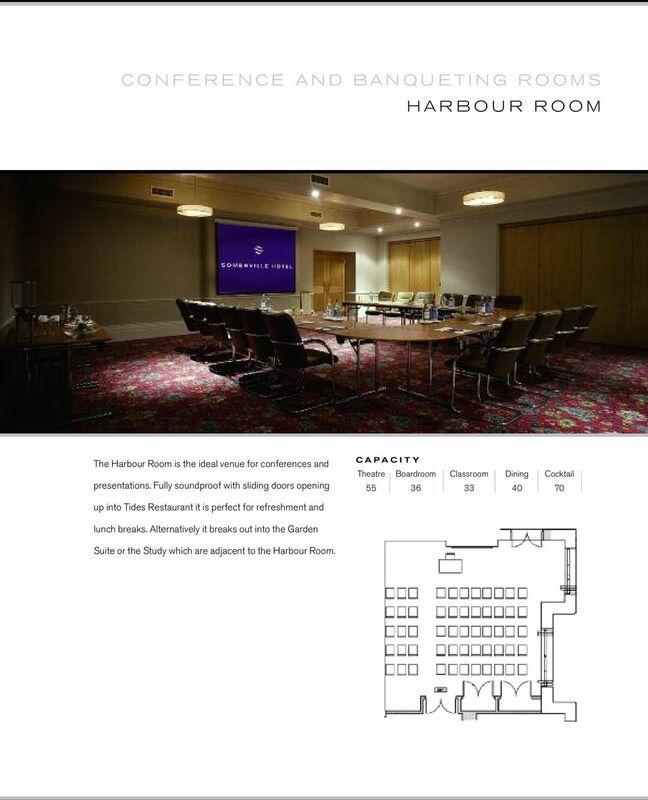 10 C O N F E R E N C E A N D B A N Q U E T I N G R O O M S H A R B O U R R O O M The Harbour Room is the ideal venue for conferences and presentations. Fully soundproof with sliding doors opening C A P A C I T Y Theatre Boardroom Classroom Dining Cocktail up into Tides Restaurant it is perfect for refreshment and lunch breaks. 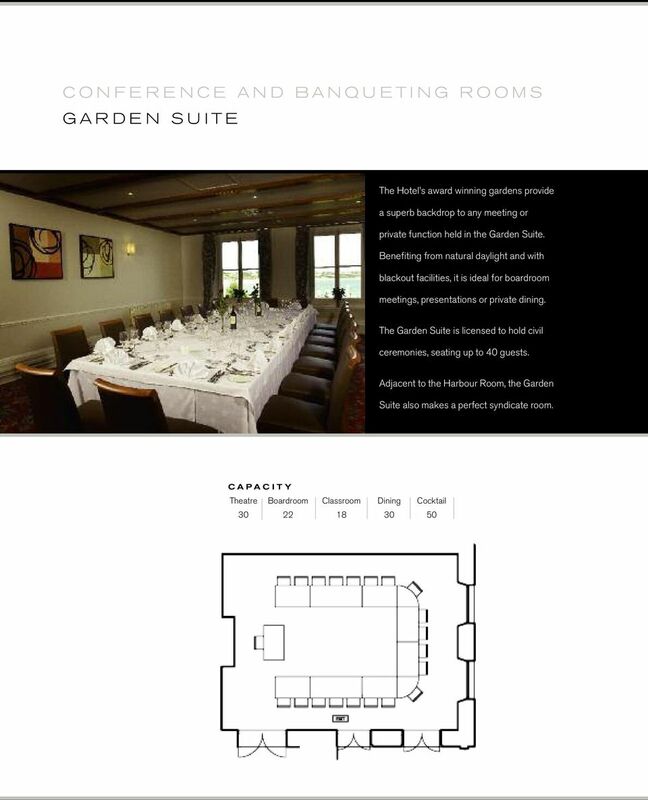 Alternatively it breaks out into the Garden Suite or the Study which are adjacent to the Harbour Room. 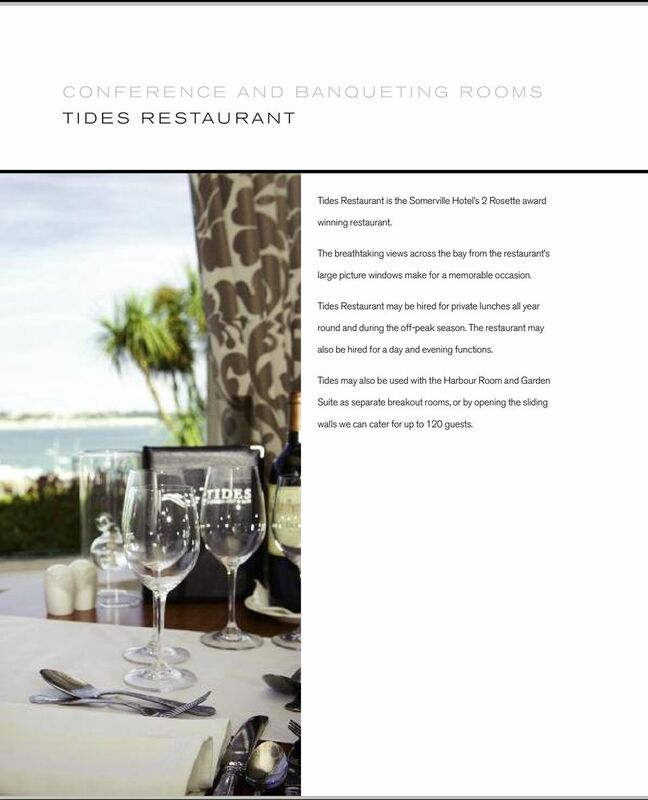 11 C O N F E R E N C E A N D B A N Q U E T I N G R O O M S T I D E S R E S TA U R A N T Tides Restaurant is the Somerville Hotel s 2 Rosette award winning restaurant. The breathtaking views across the bay from the restaurant s large picture windows make for a memorable occasion. Tides Restaurant may be hired for private lunches all year round and during the off-peak season. The restaurant may also be hired for a day and evening functions. 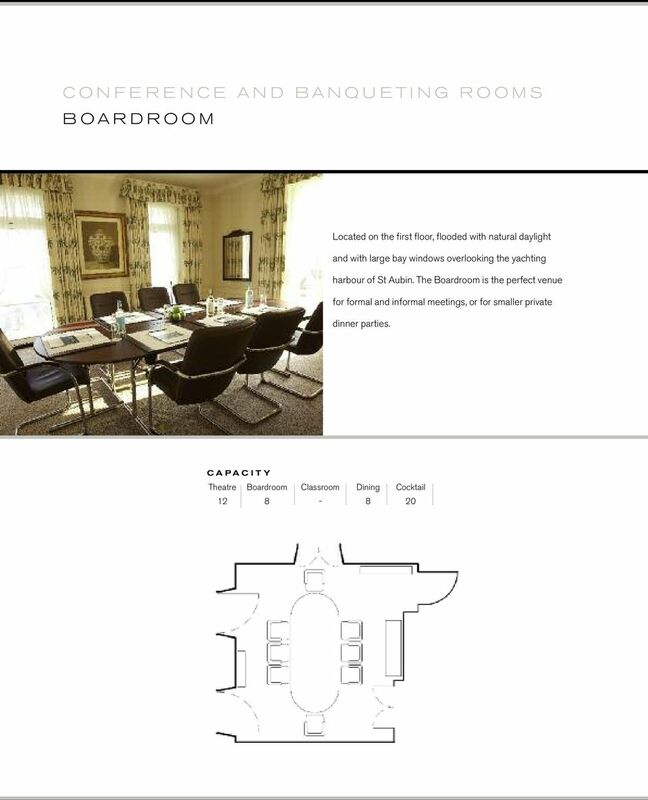 Tides may also be used with the Harbour Room and Garden Suite as separate breakout rooms, or by opening the sliding walls we can cater for up to 120 guests. 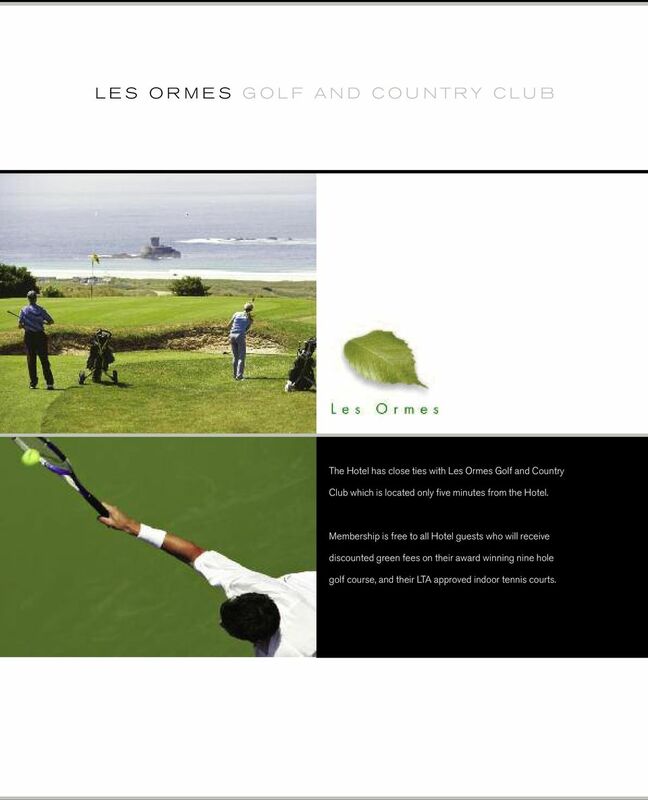 13 L E S O R M E S G O L F A N D C O U N T R Y C L U B The Hotel has close ties with Les Ormes Golf and Country Club which is located only five minutes from the Hotel. Membership is free to all Hotel guests who will receive discounted green fees on their award winning nine hole golf course, and their LTA approved indoor tennis courts. 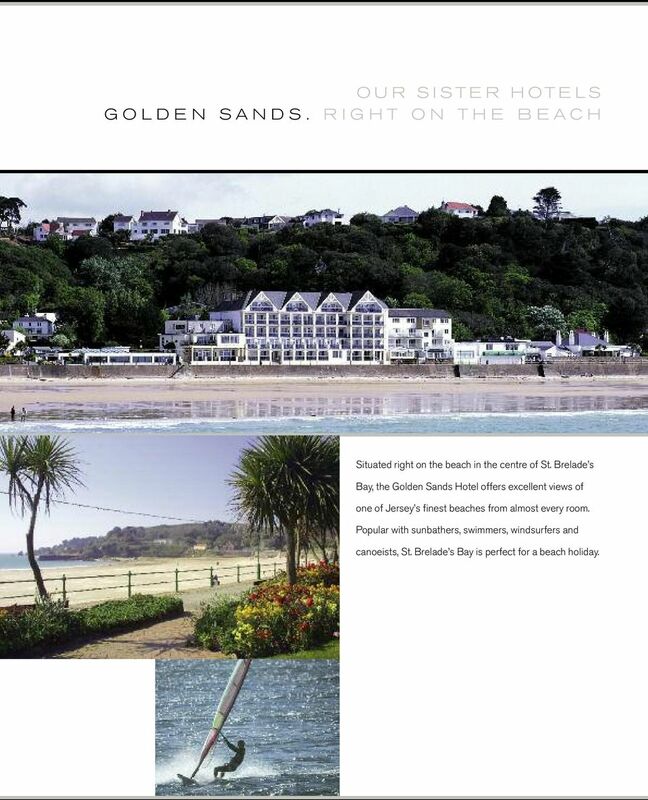 14 O U R S I S T E R H O T E L S G O L D E N S A N D S. R I G H T O N T H E B E A C H Situated right on the beach in the centre of St. Brelade s Bay, the Golden Sands Hotel offers excellent views of one of Jersey s finest beaches from almost every room. 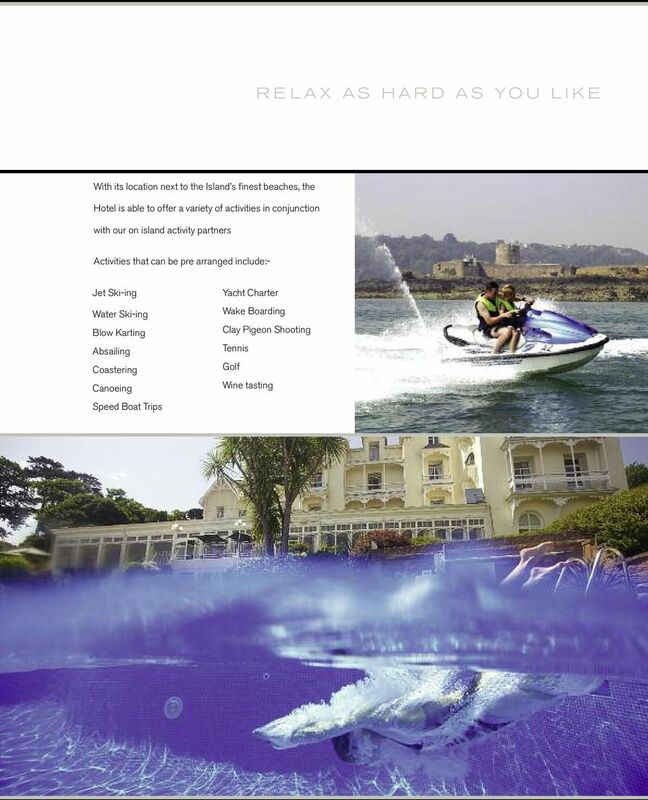 Popular with sunbathers, swimmers, windsurfers and canoeists, St. Brelade s Bay is perfect for a beach holiday. 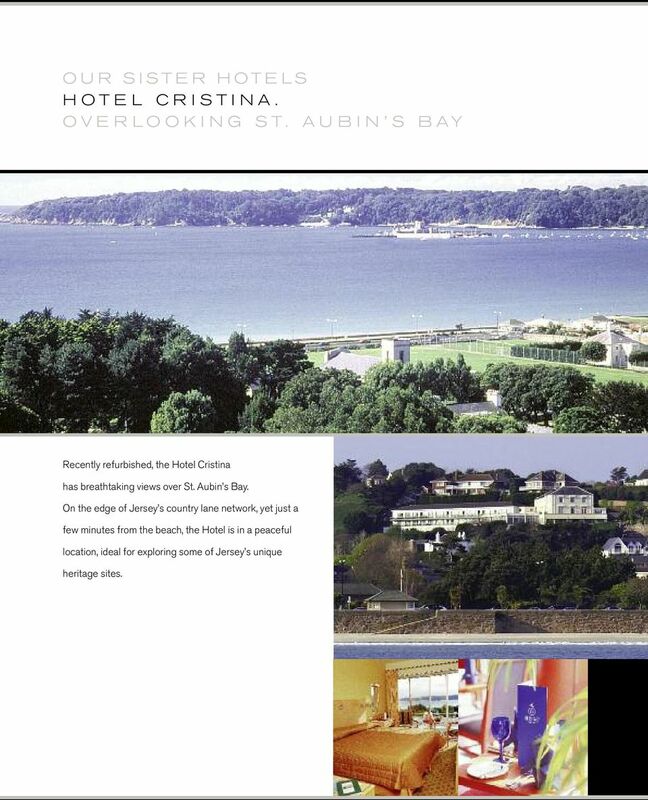 15 O U R S I S T E R H O T E L S H O T E L C R I S T I N A. O V E R L O O K I N G S T. A U B I N S B A Y Recently refurbished, the Hotel Cristina has breathtaking views over St. Aubin s Bay. On the edge of Jersey s country lane network, yet just a few minutes from the beach, the Hotel is in a peaceful location, ideal for exploring some of Jersey s unique heritage sites. WELCOME TO BRUSSELS HOTELS DESIGNED TO SAY YES! Supported By: Contents. Tennis holidays you ll love 3 Tennis holidays for everyone 4 Coaching options 5 A typical day 6 Which hotel is for you? Conferences Alveston House Hotel, Alveston, Thornbury, Bristol BS35 2LA Conferences Alveston House is Bristol s first choice of training and meeting venue. Why? Quite simply, we are more than just a venue! Chartridge. Chartridge Conference Centre, Chartridge Lane, Chesham, Buckinghamshire HP5 2TU Tel 01494 837484 email reservations.ccc@chartridge.co. The FSC General Assembly organising committee cooperates with Thebe Conferences & Events in South Africa. TRUE BLU HOTELS DESIGNED TO SAY YES! Witney Lakes Resort, Downs Road, Witney, Oxfordshire OX29 0SY Tel: 01993 893000 Email: resort@witney-lakes.co.uk www.witney-lakes.co.uk Witney Lakes Resort is committed to sustainable environmental practices. SOCIETY OF ANTIQUARIES OF LONDON VENUE HIRE BURLINGTON HOUSE, PICCADILLY, LONDON 020 7479 7080 WWW.SAL.ORG.UK The Society of Antiquaries is an extremely interesting and convenient venue to host our events. 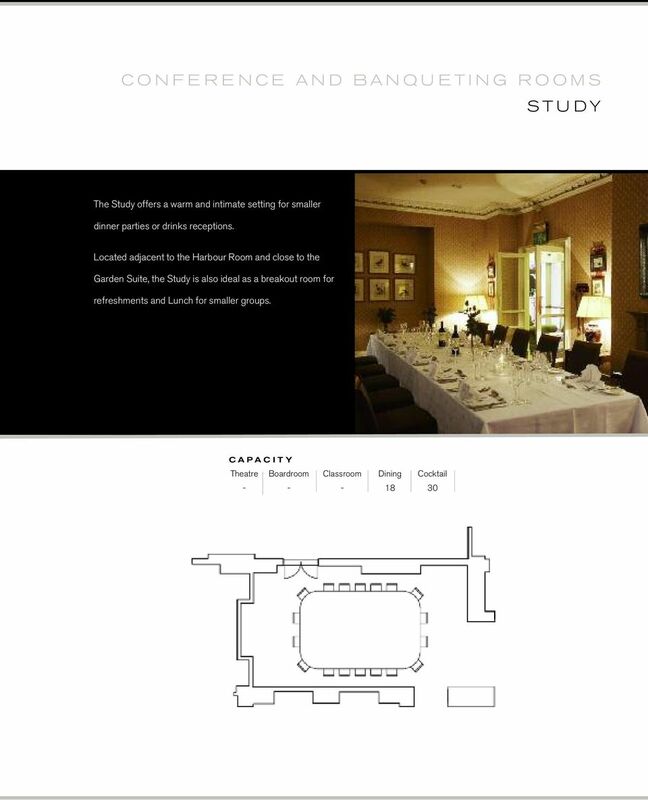 As Cambridge University s official venue-finding service, we aim to find the perfect host for any event.